The fluctuation of luxury designer handbag prices has most of us scratching our head as to when would be the right time to buy. Here’s the best answer, NOW! Now is the time to buy a luxury designer handbag, but not just any luxury designer bag, a pre-owned luxury designer bag! Why on Earth would you buy a pre-owned designer handbag you ask? 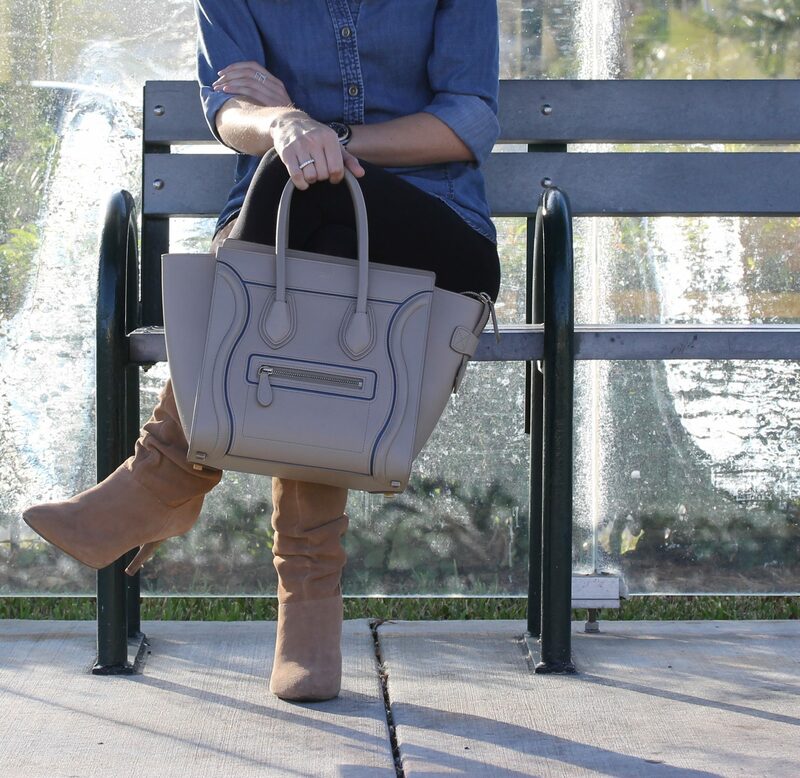 You’ll save hundreds, even thousands of dollars purchasing a gently worn luxury designer handbag in new or like-new condition. Iconic designer brands such as Louis Vuitton, Hermes and Chanel have been consistent in keeping their most popular designer styles on the arms of many over the years. We’ve brought you the TOP 5 Most popular pre-owned designer handbags that we continue to see reigning as far as comfortability, versatility, style, class and functionality. In NO particular order, here are the Top 5 Most Popular Pre-owned Luxury Designer Handbags! The first bag on our list under the top 5 most popular sought after pre-owned luxury designer handbags is this Louis Vuitton Totally bag. 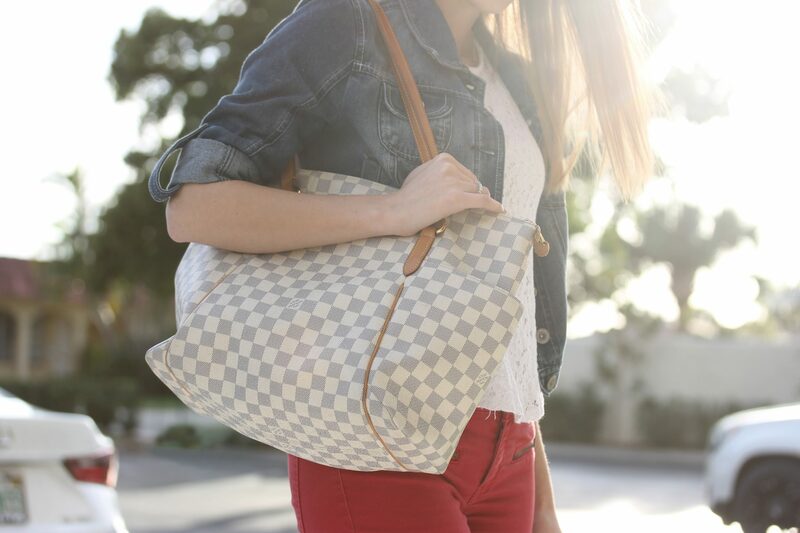 The LV Totally is an iconic design with sleek lines and a comfortable length that provides a casual yet signature look. This bag can be purchased pre-owned with Louis Vuitton’s signature Damier Ebene canvas, Damier Azur, which is pictured above, and the classic Monogram design. With two large pocket compartments on either side of the exterior, and a spacious interior containing a lightweight canvas lining, one large pocket and two small pocket compartments, this tote bag is not only functional, it’s the perfect “every day” handbag. This bag retails close to $1500 depending upon the exterior canvas of your choice, however you can easily own this bag for prices around $1095.00! Next on our list is a supreme classic and if you’re not familiar with this bag, you’re missing out on one of the most iconic symbols of fashion… the Chanel Classic Flap Bag. This Chanel bag deserves much praise as it was introduced in February of 1955 and still holds superior popularity 62 years later! This fascinating elegant bag has been slightly modified over the years, however the signature classic flap bag has little-to-no changes whatsoever. 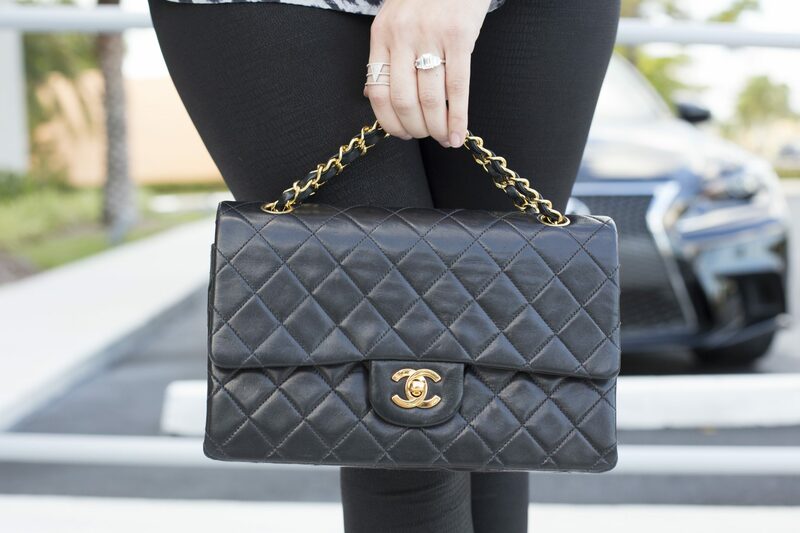 The Chanel flap bag is one of the highest luxury designer handbags to hold it’s value in the resale market. Even though it holds it’s value, you can still pay less buying a pre-owned flap bag rather than brand new. You will save hundreds and get to own a classic handbag in new or like-new condition. Most Chanel classic flap bags are worn as special occasion bags and if kept in original dust bag, will have little to no wear, which is great for you! Today, Chanel flap bags comes in lambskin, caviar leather, tweed, toile and many more trendy fabrics. Find more Chanel Classic Flap bags in like-new condition for less than retail. The third bag on our most sought have pre-owned luxury designer handbags is a handbag that has a bold statement, the Celine luggage tote. Celine creates this luggage tote in numerous sizes such as Nano, Micro, Mini, Medium Phantom and Large Phantom, with all the same look and demeanor. The trapezoid design with versatile and expanding outward facing sides give this bag it’s distinct look. Though this bag sits at a relatively moderate price point, purchasing it pre-owned will definitely save you hundreds of dollars and since new color combinations are constantly appearing, you’ll definitely find that last season’s two tone look that you’ve been wanting for way less than the retail price! If you don’t recognize this iconic and popular tote bag, then you must be living under a rock! (We mean that in the nicest way) The Louis Vuitton Neverfull is “by popular demand” one of the most sought after pre-owned designer bags. This awesome, HUGE tote bag comes in a multitude of color combinations and several sizes and it’s lightweight and comfortable structure makes this one of the most perfect every day bags! The Neverfull PM retails for roughly $1180 which you could easily find a pre-owned one in like-new condition for well under $800. The MM size, medium, retails for $1260, but they usually can be found anywhere between 900-1095 depending upon the condition and the exterior style. The largest Neverfull, the GM retails for $1340 and can be purchased slightly worn for around $1150 give or take. It doesn’t hurt to save hundreds when it comes to a bag that you’re definitely going to fall in love with and use almost every day! 1. The Birkin bag is not just placed out on retail shelves for anyone to purchase. This bag has a long waiting list, and each bag is strategically and delicately created by an artisan who knows the meaning of perfection. If you’re patience is thin and you must own an Hermes Birkin, then purchasing pre-owned from a reputable seller who can provide 100% authenticity is the best option. 2. The Hermes Birkin bag can retail for well over 15 thousand dollars all the way up to hundreds of thousands of dollar! (Yes, you read that right!) People, that is a car, or a HOUSE! You’re carrying a CAR on your arm! Jaw drops! Depending upon the exterior material and the cm size of the Birkin bag, you could save close to a few thousand dollars on purchasing this bag pre-owned. The good thing about the Birkin bag, just like a Chanel bag, is that they are normally worn as special occasion bags, it’s a status symbol, so these bags are usually kept in pristine condition even when worn. Hermes sells their bags with rain coats to protect the bag in the event of a rainstorm, imagine that! Keep in mind that sometimes you can become very lucky and purchase a pre-owned handbag that was indeed never used, in original packaging with original receipt, those are always the best bargains! 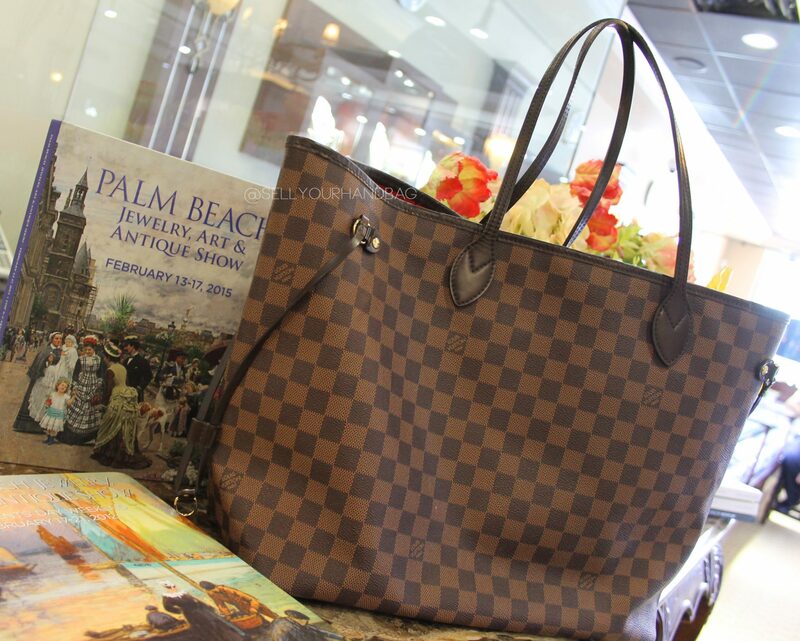 Explore the world of pre-owned luxury designer handbags here at SellYourHandbag in Boca Raton.